We are engaged in providing a vast range of Cadmium Copper Rod, which is widely used in Spot welding. These products are available in different thickness, dimensions and lengths. We are a trusted name involved in importing and exporting a wide array of Round Bars. The UNS C14300 cadmium copper deoxidized alloy has high forge ability, high corrosion resistance and excellent hot and cold workability. This alloy can be fabricated by coppersmithing, drawing and upsetting, coining, stamping, hot forging and pressing, swaging, and spinning. 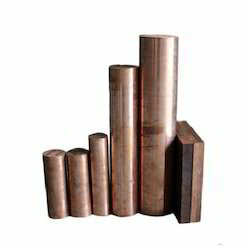 Chromium Zirconium Copper Rod is developed under the strict supervision of quality associates using the best quality of materials. Widely used for variegated industrial applications, our assortment is known for their unique and outstanding characteristics such as high strength, corrosion resistance, high electric conductivity and ductility. 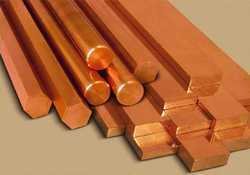 Looking for Cadmium Copper ?